The new name for 2019 is Nippo Fantini Faizane, and with Tizza not being renewed I think we can safely say that the so-called merger with GM Europa Ovini wasn't too successful. Perhaps LOOK did want to jump on that train but Ag2r didn't want to ride the bikes that another team thought weren't good enough mid season. Will Merckx continue supplying Sport Vlaanderen - Baloise aswell or are they now on the lookout for a new bike supplier. Has anyone heard what's happening with Team Wiggins? Doesn't seem to be a listing of the team at all, anywhere. I'm particularly interested in young Tom Pidcock. Has anyone heard what's happening with Team Wiggins? Wiggins takes over 100% control of the team. @BritishConti might be someone to follow if you're wanting updates on the team (and the domestic scene in general). I went to follow their Twitter account ... only to find out that I already did! Since the team only went 'public' today, the account (joined Twitter in November 2012!) must have been 're-purposed' from whatever it was called before (and the previous tweets deleted). My guess: It used to be @AquaBlueAcademy that a.o. had the one of new team's DSs, Matteo Cigala, as rider. Seems plausible looking at their people they have followed on twitter from way back. Mix one cup of with two cups of . Add a dash of and thoroughly for two hours. Already kaput according to twitter. @NiCeProCycling is still around on Twitter ... but the name change suggests that word of this team not exactly being "nice" got even to Ethiopia. Dutch WT team get a Norwegian co-sponsor and will be known as Jumbo-Visma! Very surprising indeed, the new sponsor is a Norwegian software company eyeing the BeNeLux market as their major growth opportunity. They said they would never sponsor a Norwegian cycling team as 1) they don't get the TdF 2) they are notable sponsors in XC skiing which gives them more visibility than cycling in the markets up north. There isn't a disclosure on the amounts involved - approx 30 MNOK/ year, it is speculated, but what is known is that, just like most of the other deals around the team formerly known as Lotto-Jumbo, this is a very long term contract, for at least 5 years with a 2 year exit term on top of that. I am not exactly sure about what that means but it means at least 5 years and then maybe 2 more if we can't get someone else to pay Belkin to paint our shirts. I guess all one can do is to congratulate the team on the deal - it seems like something quite close to catch of the year (?) in the sponsor market, except for Jumbo itself being the even bigger fish in the pond. It is rumoured that the deal was negotiated by Jumbo the company on behalf of Jumbo the team. Jumbo the company is a major (the major?) customer for Visma in the BeNeLux markets. Not sure if this is the place to put this, but it looks as if Christmas has come early for many out there. A busy day at the top of the sport's Christmas tree. Not sure how I feel about it to be honest. Reading the Brailsford quote on the website my vibe is that they are happy to be shutting the doors. But there is a bit of chatter a new sponsor is done and that this is a bit of theatre to try and build interest towards an announcement. Either way, love or hate them, you'll certainly remember them. Back on topic - wowser!! They are going to need an incredible, and at this stage it seems perhaps unlikely new sponsor to continue at the same scale. If anyone can get one its probably Sir Dave and Fran, but Sky Cycling is a division of Sky Broadcasting, not merely a logo deal so that is a big partner to find in what timing realistically, 7 months from now? That said what's not to like about buying naming rights for a team with such rich pedigree (albeit a fair amount of controversy too - but that could be confined as baggage attributable to the former sponsors surely?). What is the team's budget these days? Something around 50 million €? Realistically, there is no company that will throw that amount of money at a cycling team purely on a RoI basis. They need to find a new James Murdoch who is willing to throw his weight around to agree the company to pay so much. Yes, well mainly yes, Sky used cycling in its many guises in Britain to drive a whole brand strategy, and took a different approach to structure, in bringing the essence of the team in house. I am not sure a Murdoch would ever sign up to a heavily patronage skewed deal! On G - and the others - isn't this like the interviews Vaughters gave about the near demise of his lot, - the contracts were binding, team or no team, and underwritten in case of liquidation, insolvency, etc. So is there a case that G and others whilst clearly unsettled by the loss of the team would have a call on Sky and its new owners for the remaining two years (in the case of G) of his contract? They need to find a new James Murdoch who is willing to throw his weight around to agree the company to pay so much. Doesn't that tick all the boxes? Has he ever been involved with pro cycling from the sponsor/team side of things? I have been off for a while, but 2019 isn’t so far away so maybe time to start preparations for the new season. Anyway, I think has become more of an institution for the British than I was aware of. I lack the perspective that the change of ownership for the corporation backing the team did take place already quite a while ago and it was expected that the new owners eventually would review their role in cycling. The cyclists must have been aware of this since before the summer contract renegotiations. One major contributor leaving the sport is business as usual in cycling, if the brits are shocked it must have something to do with the team gradually becoming institutionalized as the national team it never was. National teams don’t go away, but world tour teams? It is the rule, not the exception. Interesting point made by Drummerboy concerning Branson as his company is involved with train operations but I giggle at any notion of the Skytrain being replaced by the Virgin train. That contract clause would be almost as difficult to meet as the diabetes type 1 required for Novo Nordisk. That contract clause would be almost as difficult to meet as the diabetes type 1 required for Novo Nordisk. Airlines Virgin Blue and (most importantly) V Australia sponsored a US-Aussie Conti team in 2009-2011, run by Chris White. In the 2010-2011 off-season, there was big talk about the team going ProConti, maybe even WorldTour, for 2011 ... but this all fell down on White's feet before the new year had even started. Many of the riders that had been signed by Pegasus later ended up at GreenEdge. Of course, getting Branson to sponsor a cycling team is a bit more complicated than just coming up with names of rich people ... but who knows. 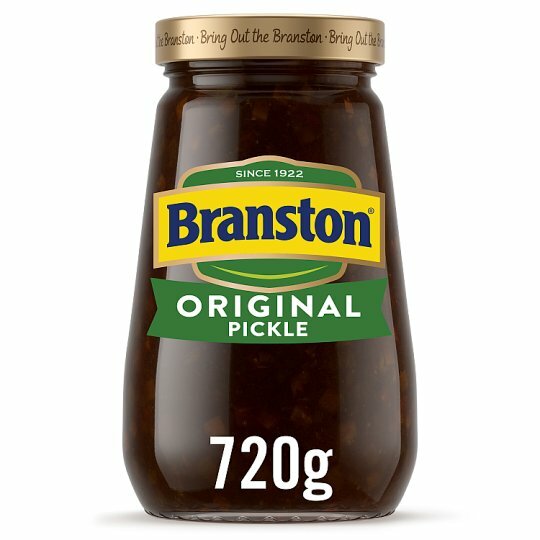 They should definitely turn to Richard Branston if they're in a bit of a pickle. Because he might relish the challenge? Virgin Group founder Richard Branson marches to the beat of his own drum. He dropped out of school at age 16 to start his own business, prefers to work from his hammock or tub rather than a desk, and never goes anywhere without a notebook. The billionaire entrepreneur also drinks a surprising amount of tea (English breakfast) to keep him energized: "I'm talking 20 cups a day,"
The more I play around with this idea in my head, the more I realize just how great someone like Richard Branson wold be for cycling. He's endlessly optimistic, overflowing with energy and a sense of adventure, and clearly adept in the world of international marketing and finance. He'd make Vaughters and the rest of them look like amateurs. Branson is someone who, if he were so inclined, could exert tremendous influence and positive change over the entire sport. And he could use his voice and public image to promote cycling in ways that would eclipse anything we've seen thus far. Or maybe a role for him beyond just being a team owner? What might someone like him do at the organizational level? This could be a fun thought experiment. Maybe we should start a Sir Richard Branson Fantasy Thread, toss around some ideas, and see if it catches on (or simply amuse ourselves in the process). "Endless optimism and overflowing with energy"? Sounds awful. I dunno anyway. He has cultivated a persona over the years of something like a not quite grown up public school boy with that type of confidence/bravura that they say you get in those types of schools, and all those PR stunts etc, but under all that he still is a hard nosed businessman. I could only see him getting involved with Sky in a short-term Belkin type way ie. on the cheap. Plus of course Branson = Virgin, and with Virgin Media being a direct competitor for Sky, I couldn't see them letting Branson take over (even if he hasn't much to do with Virgin Media these days other than owning shares). it definitely would be funny to watch a competitor taking over the team. It is a sad day when such a major sponsor walks away from the sport. I dont think having 1 team with such a big budget is good for the sport overall - but any sponsor walking away is always a big deal. (gt) The Evo Pro Racing has a very high budget even compared to some Professional trainings. In fact, only for a delay in the departure of this project we are not in that category, which would certainly have brought the certainty of participating in races of greater prestige. The excellent economic base can also be seen from the retreat: the chosen venue is wonderful with numerous sports facilities at our disposal. The climate, then, is perfect for cycling. Morgan Fox is mentioned in the article and he must be wealthy to some degree. Fox has a number of business interests in Ireland, including Planet X, and has supported a large number of cyclists and triathletes in recent years. He was already involved in assisting the establishment of the Holdsworth team but will now take a much more active role. still no official news from Wilier by the way, but the guy from the team has posted an explanation on the Cicloweb forum: everything is fixed, but as the new bike sponsor will also be a name sponsor, due to a clause in the current contract with Wilier they can't present it as long as that one is still running. 17 Runners are signed for the team, and an official presentation can be expected for January.